Dallas County Master Gardeners and our visitors have been admiring a statuesque green-eyed coneflower in our garden all through July. And why shouldn’t they? 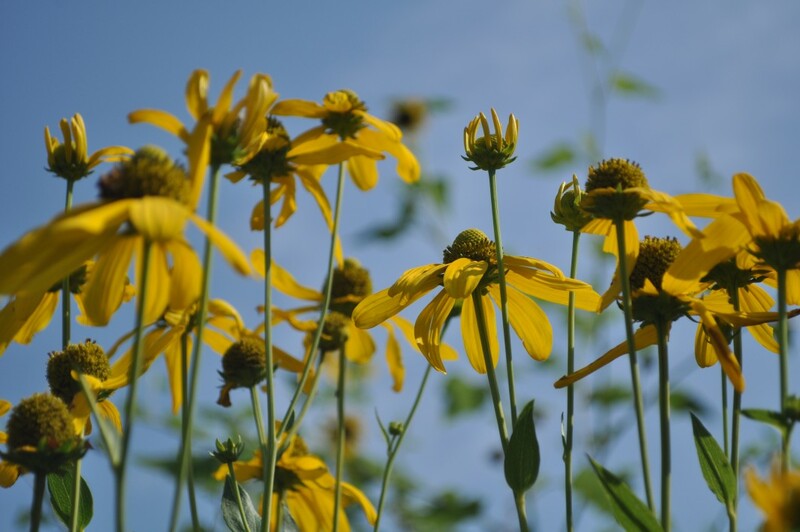 Rudbeckia Nitida ‘Herbstonne’ is no slouch. 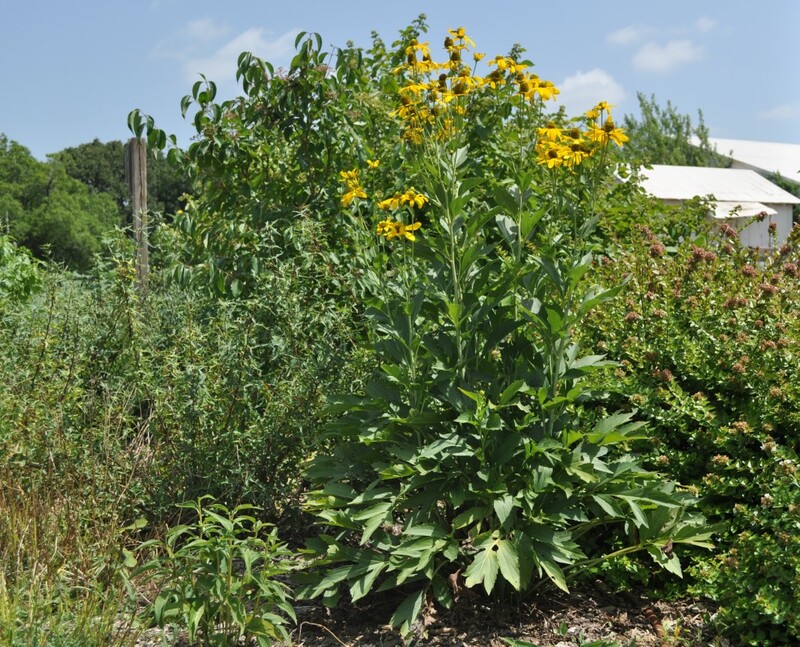 It stands 4 feet tall featuring large daisy like flowers that surround a green cone. Even its foliage is arresting with rich green, deeply cut leaves at its base. Stunning! With a good deadheading after the first bloom, it will flower all through the fall. Stand and gaze at it, after finishing garden chores, of course. You may be in line with the bees and butterflies who adore it. 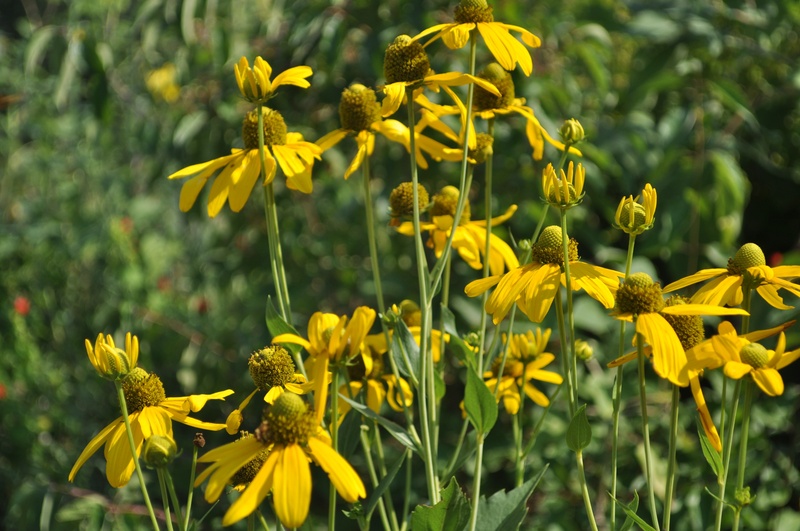 This perennial appreciates full sun and well drained soil in a Water Wise Garden. Posted in Fall, Summer. Bookmark the permalink.